Only rarely do I invite guests to share my blog, but the excerpt from Greg Marcus’ The Spiritual Practice of Good Actions below struck a deep chord in me. Why? The experience Greg describes in this essay is a perfect example of what I mean by “Finding Ourselves in Biblical Narratives.” It is a wonderful example of a moment when we see the Torah not just as an ancient text but as spiritual instruction that speaks directly to us. Greg finds spiritual enlightenment and a greater sense of self-worth through Mussar. I find those things through intense wrestling with the stories in the Torah. Jewish thought offers many paths to greater self-awareness that can benefit us whether we are Jewish or not. Thank you, Dr. Marcus, for allowing me to share your wisdom with my readers. My spiritual journey started about ten years ago, at an unexpected time and place. At the time, my focus was almost entirely secular. I had my dream job, and I thought I was living a dream life. I had a great wife, two young daughters, and I was working at a Silicon Valley company that was literally revolutionizing human genetics research. At first, the fact that I was working 90 hours a week did not bother me, and I took pride in my toughness. But my devotion to the workplace left me vulnerable, and I came to a place where despite my Ph.D. from MIT, I felt worthless. I felt like a bad husband, a bad father, and a bad employee. I was like an eggshell with all of the egg sucked out, hollow, dark, and empty inside. It started at the apex of my career – I was marketing the flagship product, and was leading the team developing the fourth generation, with the scope and features that everyone wanted. As luck would have it, this project was the first one with major technical hurdles and setbacks. We made our launch date because I was not going to let us fail. We worked every weekend and through almost every vacation for an entire year. We got to launch, we shipped the product, and it flopped. It flopped in every single customer’s hands. And management blamed me. The following week, I was at the largest human genetics meeting of the year. I was in a room full of our best customers and prospects when our featured speaker presented the product in a very poor light. I spent the rest of that afternoon at our booth in the trade show hall explaining over and over again that things would be just fine because we would have fixes for all of the issues. That night, a bunch of us were walking to a bar to blow off some steam when my cell phone rang. She was right. I was on the verge of not going. I walked back to my hotel room, and burst into tears, thinking how proud my grandmother had been of me. When the meeting was over, I flew directly to the funeral. They waited an extra day so I could make it. A few weeks after the funeral, I was still really down. Now it was Yom Kippur, the holiest day of the year for the Jewish people. The key thing on Yom Kippur is that, we fast from sundown to sundown, we don’t go to work, and we spend the day in prayer and reflection. It was 3 in the afternoon, and I was sitting towards the back by myself. My head was back, and my eyes were closed. I was conserving my strength because I hadn’t had any food or water since the night before. At the front, they were chanting from the Torah in Hebrew. I opened my eyes, and looked down at the translation: Don’t turn to idols or make for yourselves molten gods. My immediate thought was, Idol worship, that ancient statue-worshipping thing is no longer relevant in the modern world… And then this phrase popped into my head. It was like a clear quiet voice saying, “You need to do what is best for the company.” My stomach clenched, and I started sweating. I realized that my priorities were upside down, and I decided right then and there that I had to stop doing what is best for the company, and start putting people first. I needed to take care of myself, and I needed to take care of my family. Within a year, I had cut my hours by a third without changing jobs. Not a single person at work noticed. In fact, my career was thriving because I was no longer strung out and exhausted. For years, I looked back and wondered where those words that popped into my head came from. If you are of a certain spiritual bent, you may be thinking that those words came from God. The collective view of how God speaks to us has been influenced by the movie The Ten Commandments – a powerful deep voice, booming in a way that we can’t deny. While that makes for good Hollywood, that is not how these things actually work. Today, I have no doubt that God spoke to me, but it certainly was not what I believed back then. And you don’t need to believe it now to keep reading. It doesn’t matter whether it was a actually a message from the Divinity, because whatever the cause, that moment of quiet changed my life. I began to act differently, and because I was acting differently, I began to feel differently. Spending less time working greatly improved my life, but it did not answer what inside me was driving me to work so much in the first place. I am a bit of a seeker, and I wanted answers to some of the bigger questions about myself, and life in general. Unexpectedly, the answers came from Judaism. Judaism, as I perceived it at the time, was largely focused on rituals and traditions. I had not yet been exposed to the richness of Jewish thought that has developed through debate and scholarship over the last few millennia. 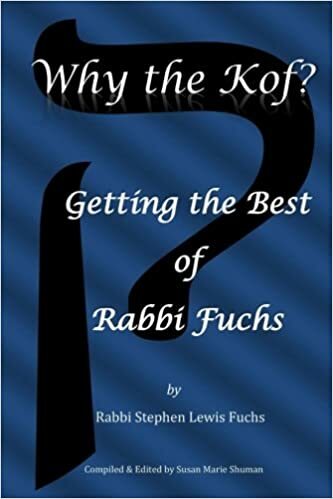 Sages and scholars puzzled over great philosophical questions, AND how Jewish values can be applied in everyday life to answer those questions. It was the practice of Mussar that brought it all together for me, and helped me find the answers. From The Spiritual Practice of Good Actions by Greg Marcus, PhD. © 2016 by Greg Marcus, PhD. Used by permission from Llewellyn Worldwide, Ltd. http://www.Llewellyn.com. Greg is a practitioner, facilitator, and innovator of American Mussar, a 21st century spiritual practice for an authentic and meaningful life. To learn more, please visit Greg at AmericanMussar.com.